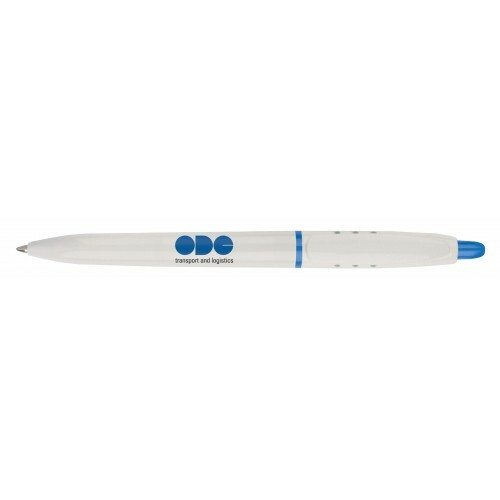 Eye-catching push button plastic ballpen made by Stilolinea in Italy. Great print area and excellent quality. Solid white barrel with a choice of coloured fittings. Made from REACH compliant materials. Conforms to ISO 9001 and ISO 14001. Black ink refills.